Divorce is more than a legal problem. Our approach includes interactive team relationships between clients and neutral professionals to assure a positive and cost-effective process. 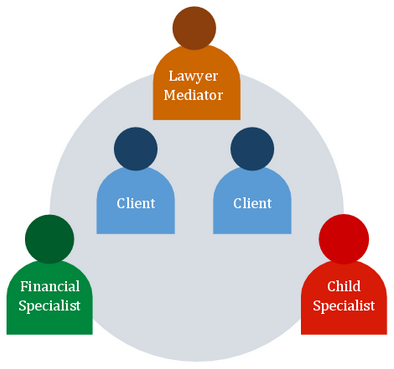 In addition to the lawyer mediator, child and financial specialists are available to meet each family’s unique needs.